Certified and experienced sea kayak guide and assistant guide. Seaward Tyee single kayaks are provided. A Seaward Southwind double kayak is also available. If you would prefer paddling the double, please be sure to arrive with a paddling partner. Tents, tarps, paddles, sprayskirts, PFDs and group gear. All meals, from lunch on day one to lunch on the last day. Gwaii Haanas National Park entrance fee is included. Two-way speedboat transport between Sandspit and Rose Harbour. Alternate boat or floatplane transport may be substituted. Hot showers, a home-cooked dinner and accommodation at the Rose Harbour Guest House on the last night of our eight-day kayak trips. In the unlikely event of delayed transport due to weather or other factors on the last days of the trip, meals and accommodation are provided to guests in Rose Harbour. Transportation between your home and Sandspit, British Columbia. Accommodation and meals in Sandspit prior to and following the kayak trip. Gratuities are entirely optional and always greatly appreciated. Each person loads and unloads their kayak, as well as sets up and takes down their tent. Kayaks and tents are provided. Each person provides their own sleeping bag & pad, appropriate outdoor clothing, eating utensils and items of a personal nature. If a tour guest or expedition participant misses our chartered speedboat, alternate transport costs are not included. Optional speedboat transport to SGang Gwaay is not included. Almost all our guests are able to kayak to SGang Gwaay. 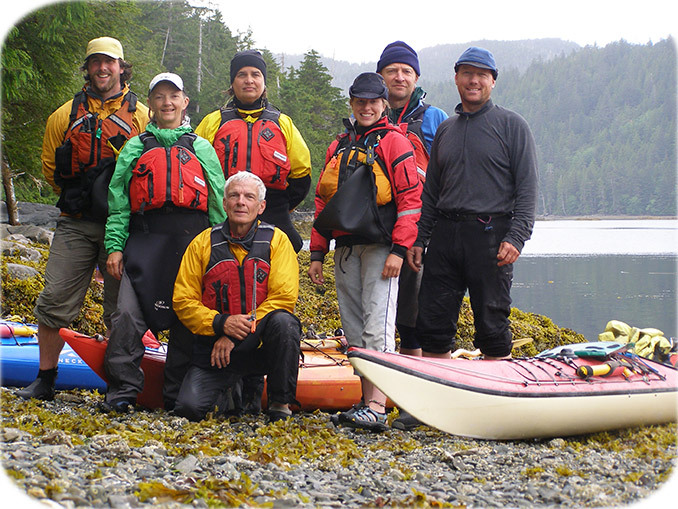 If conditions are unsuitable for kayaking, an optional charter boat may be arranged so guests are still able to visit the ancient Haida village. In the unlikely event of delayed transport due to weather or other factors on the first days of the trip, additional expenses such as accommodation and meals in Sandspit are not included. Mothership Cruise - Download a brochure from the Ocean Light II website. Evolution Expedition - View Evolution Guide School's website. Outer Coast Expedition - Please contact Gord for details.